With Christmas right around the corner, DVDs are always a great gift, especially for the children on your holiday gift list. From the classic, award-winning MAGIC SCHOOL BUS, celebrating its landmark 25th anniversary with a treasure-filled 8-DVD set to the undeniably edu-taining sets from Scholastic Storybook Treasures, give the gift of entertainment this holiday season with DVDs from Scholastic! Featuring a striking 3D lenticular cover with new artwork that makes the vibrant characters leap off the page and that will encourage kids to ask the question “how did they make that?” , the collectible thin-pack set also includes a guide for kids with teasers, trivia and experiments, plus a Parents’ Guide with lessons and learning options. This interactive guide creates wholesome and healthy entertainment for the entire family! 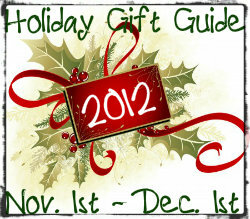 This giveaway will end November 24th at Midnight EST. 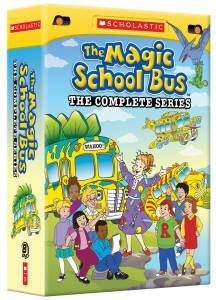 Disclaimer: Scholastic provided the above information and Magic School Bus DVD set for the purpose of hosting a holiday gift guide giveaway. Regardless, I only recommend products or services I use personally and/or believe will be a good fit for my readers. The views and opinions expressed on this blog are purely my own. Results may vary. No compensation was received. I love the Book clubs they offer through schools. We have gotten a lot of books through them. My husband would love the star wars novels. We love the goosebumps books! I would like to get a few of the Clifford series! would love that star wars pop up book! I love Scholastic books! I learned they have an iPad app for their books! I'd love to get my daughter all of the 39 clues books on scholastic, she likes the books and they are really cool to read! I like the Storia app for the ipad. The book Jangles looks good. The Storia App looks great, my son would love to read Clifford! My oldest son loves anything goosebumps, so that would be our favorite.